Warren jumped into the presidential race early and didn't find much traction. Last night's CNN town hall won't help much. Elizabeth Warren enters the 2020 Democratic primary as the best-known candidate to have never run for president before. 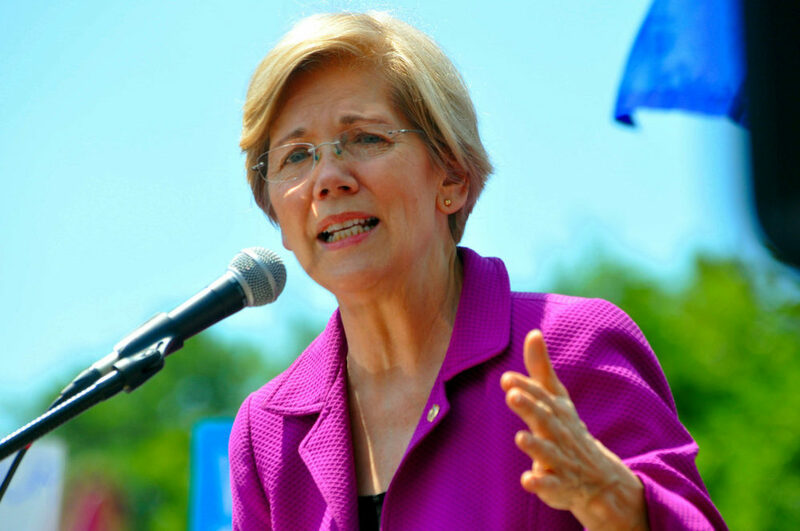 Unlike frontrunners Bernie Sanders and probable candidate Joe Biden, Warren is a first-time candidate. This is potentially an advantage — except for Hillary Clinton in 2016, no Democrat has ever lost a primary and come back to secure the nomination in a later election. But can Warren be the new face that wins this time around? Warren doesn’t feel all that new. Although she did not run in 2016, it almost feels like she did. Warren has been a constant figure in our politics, who like Bernie Sanders seems unrepentantly leftist. So, given Bernie’s success three years ago on the socialist line, what specifically is Warren offering that is any different? On Monday night in a CNN town hall, Warren tried to lay this out. The first question to Warren was “Why do lower-class whites vote against their own interests?” Warren launched into a passionate stump speech about corporate interests controlling America. She left the racial component alone, which is telling. But the next question went right back to race, asking about white nationalism. This time Warren came out against white nationalism and urged the government to prosecute those who engage in it violently. Not exactly a new way forward. The third question did not veer off topic. It asked how a Warren administration would deal with the legacy of slavery. Warren wants to address that head-on. She stressed housing and employment discrimination. Warren wants a “national, full blown” conversation about reparations. She wants a report to be created by experts. Host Jake Tapper asked for specifics on a reparations policy. Warren ducked the question. In her defense, though, Ta-Nahisi Coates and David Brooks duck this question in exactly the same way. Warren should have felt lucky to get off the race topic. But the next questioner suggested that, for union workers, eliminating the Affordable Care Act and going to “Medicare for All” would be bad. Kudos to the kid who asked the question. Warren leapt into a surprising defense of the ACA. Lowering drug costs was suddenly her message, not ending private insurance. Warren was asked how she would stop the flow of illegal immigration, short of a wall. Warren answered, to great applause that when people are fleeing horrible conditions we need to accept that. Her dystopic description of how we handle migrants was damning, but she gave absolutely no answer as to how she would change the system. Her answer seemed basically to be nothing. Let them come; we can’t control it. She added that the real problem is that the United States doesn’t give Central America enough aid. Asked about socialism, Warren said she favors markets, but “markets with rules.” Unlike Beto O’Rourke, she did not affirm a commitment to capitalism, but promised, “balance in the marketplace.” She is very pro-union, but is she a socialist? She didn’t quite say. The first big moment for Warren was the chance Tapper teed up to discuss her housing plan. Warren wants a big government spend on housing. She says it would lower rents by 10 percent and create new opportunities to buy houses. Somehow, her plan will also decrease the black white disparity in housing. She did not make clear if black home buyers would receive financial advantages. Warren broke up a bit talking about her mother taking a minimum wage job at Sears. How she was a frightened child with a frightened mother who found a way to make it. It was a compelling story. But somehow, her mother’s bravery was turned into an attack on our government’s coldness in not raising the minimum wage, and then into an all-out attack on big, bad corporations. The subject of race came back when Warren was asked if she would show special deference to historically black colleges. Warren celebrated the question, then ducked it. She wants educational resources for all Americans, but did not propose anything to specifically help black college students. Then came the Native American question. Warren says she learned about her family from her family. She says her claims about being an American Indian never helped her. She says this is not an important issue. Honestly, it was about the best answer she could have given. Warren announced support for eliminating the Electoral College and basing the presidential results on a popular vote. She gave no indication about how this should be done, or why it is not a blatant violation of the Constitution. But she did get lots of applause. Warren was asked about gun control in the context of Jackson, Mississippi’s murder rate. Warren relates gun violence to a medical virus. She says if people were getting sick we would make changes. But on policy, she spoke only vaguely of weapons of war not being on our streets and opposed bump stocks. She did also say that the federal government must control the states to fight the National Rifle Association, or something. The subject of race quickly came back as Warren was asked by a black mother why her sons might be targeted by police more than other kids. “Race matters, and we need to call it out” was Warren’s first answer. Warren shifted to practices under President Obama in the Justice Department to show how she would address this alleged disparity. Warren became very excited when asked about making rich people pay more taxes. She erupted with a loud, “Woaaaah!” This is what she wants to talk about. She wants to beat back the influence of money in politics. With just a few minutes left, after awkward racial questions, Warren tried to get to her stump speech. It worked. Kind of. Her pro-union policies and ultra-millionaires tax sounded inspired, but jeez, it was not the magic of the night. The magic of the night was her ducking and dodging of identity politics. Welcome to the big leagues. Warren’s town hall was hijacked by questions of race. It came back every time she got any mojo going, and it always tripped her up. O’Rourke, and maybe Biden, who will be doing their town halls soon, should be aware of this. Race is going to be front and center. Warren seemed a bit caught off guard and was awfully awkward in her answers. Regarding breaking up tech companies, Warren referred to her own arm several times as a platform. She worried that Amazon can steal ideas from small businesses that sell on their platform by stealing ideas and burying the original producer on their platform. She gave no example of this ever having happened. This was a defensive town hall for Warren, an awful candidate with all the charm and flavor of a fig bar. She did not have the chance to announce a positive message for America. Warren took a chance announcing as early as she did. She still lags in polls, and Biden hasn’t even made up his mind. This town hall needed to be a game changer, but it wasn’t. And it’s not clear where she goes from here.